The polar trophectoderm is the area of the trophoblast that is located nearest to the inner cell mass, as opposed to the mural trophectoderm which is the area of the embryonic sphere opposite and farthest from the inner cell mass. 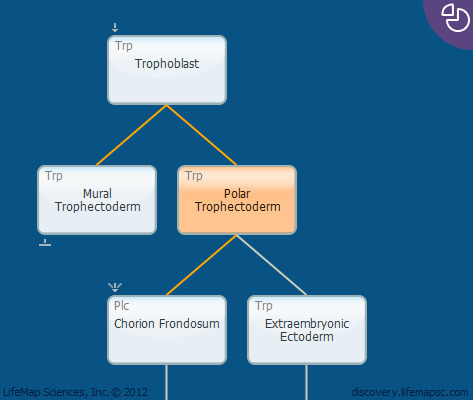 In contrast to mouse embryos, in which the implantation is often initiated in the mural trophectoderm, the initial implantation contact in human occurs through the polar trophectoderm. The polar trophectoderm gives rise to the chorion frondosum portion of the placenta.